Tile flooring is one of the most durable floors on the market. It stands up to water and spills like no other floor. That doesn't mean it's maintenance-free however. Indianapolis tile flooring store Kermans has three basic tips to help you keep your tile floor looking like new. The best thing you can do for any flooring is make sure spills and dirt don't linger. Clean up spills as soon as possible and sweep or vacuum your floors regularly. Dirt, crumbs or other debris that get wet and sit on your floor can quickly turn into a grime that is very difficult to remove. What should you do beyond those two tasks? 1. Change the way you mop. Unless you floor has dried-on stains or is in need of heavy cleaning, you don't need any cleaning products. Mopping with clean warm water is all your floor needs for basic maintenance. When you're done wet-mopping, dry mop the floor to get all the water up. Drying the floor helps prevent new dirt from sticking to the floor and becoming a difficult to remove stain. Tile is a great floor option for bathrooms but bathrooms also have a tendency to attract mildew. Stop mildew before it happens by running the fan during a shower and keeping the door open afterwards to air out the room. When you do find mildew, check with your manufacturer's warranty before doing any cleaning. A simple fix is to use a 50/50 solution of water and ammonia. Wear gloves and keep the room well ventilated while scrubbing the area with a soft brush and the ammonia solution. 3. Keep your grout clean. Use a pencil eraser! It is great for cleaning small sections of stained grout. Simply run the eraser of a number 2 pencil over the stain until it is gone. Use a clean white or pink eraser. Use baking soda. Make a paste with baking soda & water and apply it to the grout with an old toothbrush. Scrub the paste into the grout then rinse with warm water. Remember your tile flooring warranty often has specific recommendations for cleaning and maintenance that should be reviewed before trying any other tips. 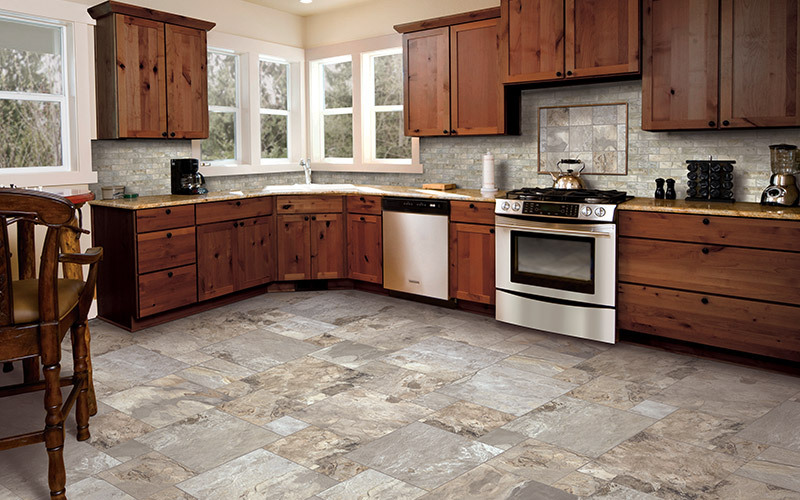 Ready to put tile flooring in your home? Discover why Kermans is the best tile store in Indianapolis.